I am pretty sure that most of you reading this will certainly remember this highly popular British game show, which first aired on 17th October 1965. It was originally presented by Robin Ray, and the two original celebrity team captains were Frank Muir and Robert Morley. The original series ran until 22nd Dec 1988 and was shown on BBC2. 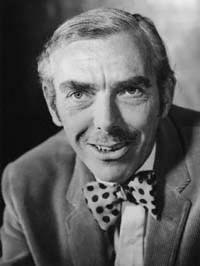 There were two teams of celebrities, and Frank Muir (above) was captain in 1965 and '66, and then again from 1969 until the series ended in 1988. Robert Robinson took over as referee from 1969 until 1988, and he is the face that most of us are more familiar with. Patrick Campbell captained alongside Muir from 1969 until 1980. After Campdell's death on 10th Nov 1980, Arthur Marshall took the reins until the series ended in '88. Sometimes other well-known celebrities would stand in as team captains, and I'm sure I remember comedy actor Kenneth Williams being a captain. The aim of the game was to provide three definitions of a rarely used word, with only one being the correct answer. The other team had to guess which two definitions were bluffs. The memories I have of the show are from around 1973 onwards (when I was six years old), although it wouldn't have been until the second half of the decade until I really knew what the heck was going on! 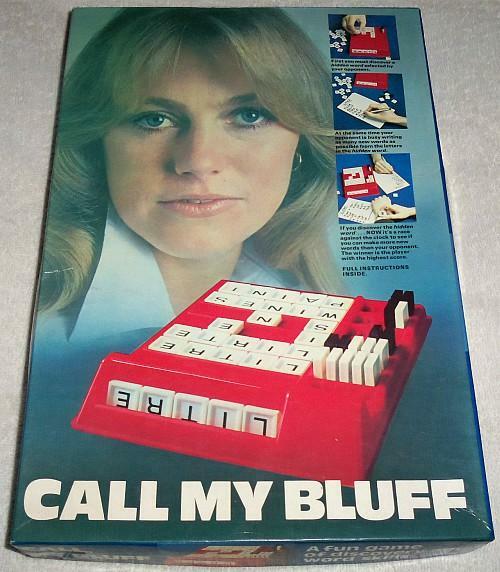 Here is a Call My Bluff board game (1974) which I received for Christmas. Do you remember this one? The game was published by Mind Movers, although I'm not entirely sure whether it was related to the TV series. A one-off special edition of Call My Bluff aired on 16th April 1994 to celebrate its 30th birthday. 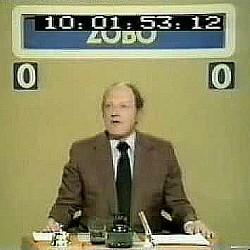 This was hosted by Robert Robinson with Frank Muir and Joanna Lumley as team captains. The series returned again in 1996 and was hosted by Bob Holness until the very final show aired on 17th July 2005. Alen Coren was team captain for the entire series, alongside Sandi Toksvig until 2003, with Rod Liddle taking her place from 2003 onwards.